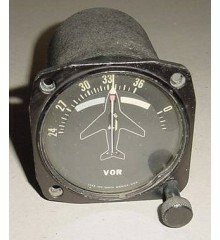 2 1/4" Fairchild C-119 Flying Boxcar Flap Position Indicator. 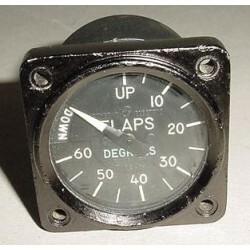 Manufactured by General Electric. P/N 8DJ11PKA-19. Very clean item. It shows very well and it would make an excellent show piece for the bookshelf in the office or home or just as a mock up panel item. Fairchild C-119 Flying Boxcar / Westinghouse J34 Turbojet Engine Fuel Nozzle. P/N 65G4321. 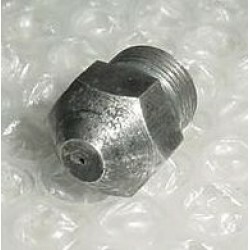 It is a used fuel nozzle that was removed from a salvage engine.